It’s Jacob Grimm’s birthday on January 4 and we couldn’t be more excited to celebrate. And while we’re not cramming 233 candles on a cake – we tried, they wouldn’t fit – we are partying it up with the unusual fairy tale adaptations Grimm and his contemporaries inspired. So, happy birthday, Jacob Grimm. We’ll be over here by the punch bowl hanging out with Hans Christian Andersen and your brother Wilhelm. If you haven’t read Ashley Poston’s Geekerella yet, drop everything and pick up a copy. (We’ll wait.) This Cinderella adaptation pairs the magic of fandom with the power of perseverance – with a dash of wrong number turned crush factory thrown in. It’s the brothers Grimm adaptation we love more than anything. We’re thrilled that we get to spread the Starfield love to our readers. (Thanks for trusting us with your words, Ashley!) If you’ve already read and loved and reread Geekerella – and we know so many of you have – be sure to check out her Radio Hearts duology and keep an eye out for Heart of Iron, which is out next month! Take a walk down memory lane and revisit Ella Enchanted by Gail Carson Levine. Unless you’ve never read Ella Enchanted before, in which case (again) we’ll wait. We’ll wait as long as you need. (Just please don’t go watch the movie. It isn’t cannon.) In this adaptation of Cinderella, Ella of Frell grapples with the gift (ahem, curse) of obedience – a curse that becomes more and more dangerous as she grows older. Not only is this a fantastic adaptation that balances a fantastical setting with modern philosophies, it’s also a feminist allegory perfect for readers of all ages. 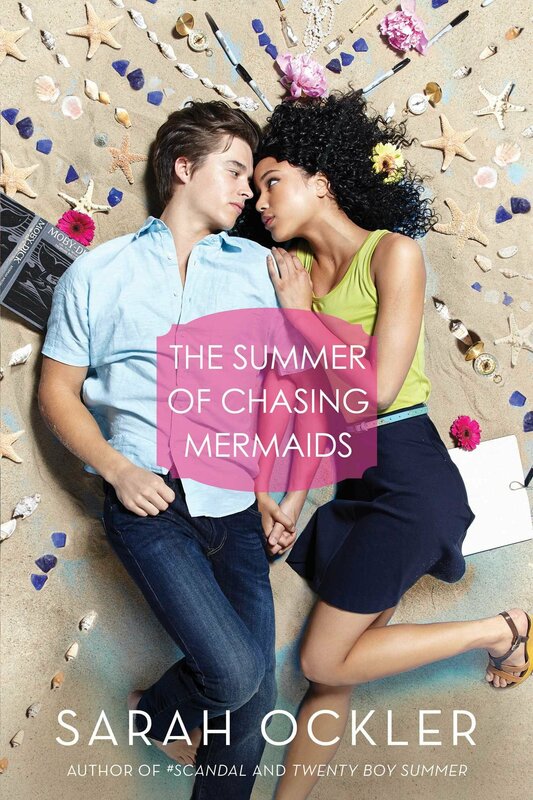 The days of Hans Christian Andersen are long over, but The Little Mermaid lives on in Sarah Ockler’s The Summer of Chasing Mermaids. When Elyse d’Abreau lost her voice in a boating accident, her family sends her to a seaside town in Oregon to live with friends for the summer. It’s bad enough that her singing career is over, she doesn’t need the pitying looks she’s sure to receive at home. And the Pacific Northwest fresh air is guaranteed to lift anyone’s spirits. It’s the perfect book for a winter day. Ockler’s luscious setting will make you forget all about the cold outside. And now for a couple of books that are on our TBR. 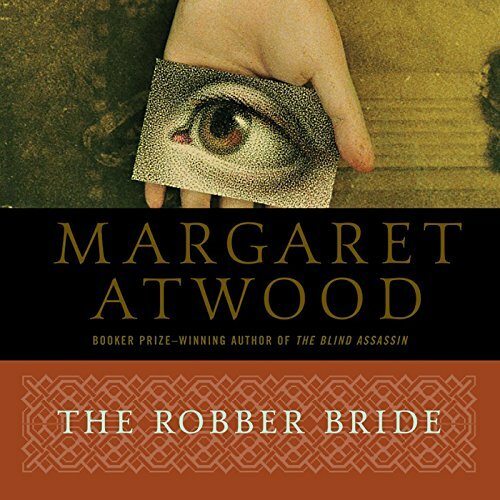 We’re huge fans of The Handmaid’s Tale and it’s ridiculous that we haven’t read Margaret Atwood’s The Robber Bride yet. This intricate adaptation of Wilhelm and Jacob Grimm’s The Robber Bridegroom focuses on three Toronto-dwelling friends who meet once a month to share a meal. During one of their monthly outings, the friends see their long-dead college classmate Zenia, a woman who has stolen each of their boyfriends one by one. It’s a subversive retelling of the lesser known Grimm fairy tale that we cannot wait to read. Friends have been recommending The Wrath and the Dawn to us for years and we’re finally going to give this captivating retelling of One Thousand and One Nights a read. Like the original fairy tale, The Wrath and the Dawn centers on a murderous king who takes a new bride each night, only to have her executed in the morning. But 16-year-old Shahrzad has a plan to stay alive. An unexpected love story is promised and we cannot wait to discover the intricacies of that dynamic. Image Entertainment optioned the film rights a couple of months ago and we’re hoping it will go into production – and soon! Until then, we’ll be devouring Renee Ahdeih’s imaginative young adult novel. Oh, and friends – there’s a sequel!